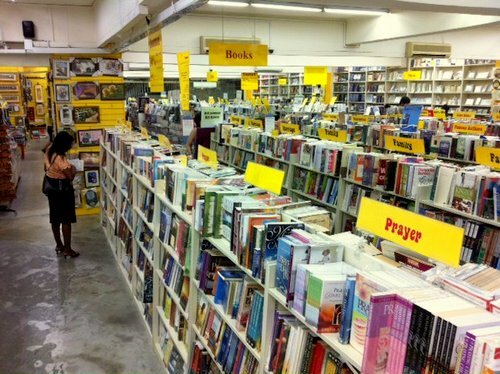 Tecman Christian Bookstore operates within Singapore’s Bras Basah Complex, at 231 Bain Street. Established in 1971, Tecman Christian Bookstore is a one-stop Christian store, offering a wide variety of products to individuals and churches. Visiting Tecman, you’ll find products to inspire and encourage your faith, and equip you to grow in your daily walk with God. The available categories of products include English and Chinese Bibles, books, churchware, music, DVDs, wedding accessories, children’s items, crosses, plaques, frames, mugs, T-shirts, jewellery, greeting cards, stationery, and inspirational gifts. The official Tecman Christian Bookstore Facebook page is located at www.facebook.com/TecmanChristian/. You can also follow the official Tecman Singapore Instagram account, which in turn is available at www.instagram.com/tecman_sg/.